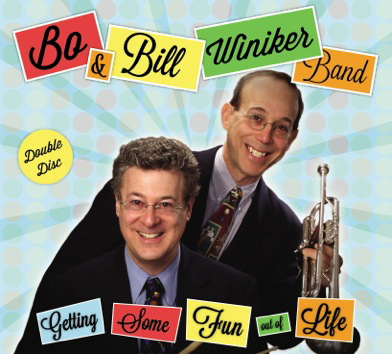 We’re really excited about our Double CD, “Getting Some Fun Out of Life,” which has gotten airplay around the country. We’d love to share it with you. Please mail a check in the amount of $25 to Winiker Music; 45 Longwood Avenue, Suite 108; Brookline, MA 02446 which includes shipping and handling. This Double CD is a compilation of Swing & spirited Jazz music that we performed at our long standing engagement at the Parker House Hotel.